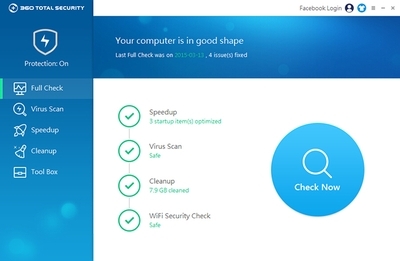 360 Total Security combines several antivirus engines, malware protection and tools to speed up and clean your PC. Simple yet powerful tool that provides protection, speed improvement and cleaning utilities. It promises to offer real time protection and receives timely updates to keep it's users protected at all time.